Likes:This ball hooks more than anything in my arsenal. You will need a lot of oil if you throw it oob. I took mine to 4000 and it still doesn’t respect the oil although it does get through the fronts good. Once it starts up, there is definitely no quit in this ball. If you ever feel “flooded out” this ball is a must. Join Lane Side Reviews in their latest episode as they venture into the wild to capture the new Columbia 300 #SAVAGE. This is a strong solid that keeps hooking. I was surprised by this balls continuation down the lane. With the box surface, this ball will need oil if you have slower speeds, or a high rev rate. I put some PowerHouse Factory Finish Polish on it and was able to use it for a 3 game league. This ball handled the transition well and let me control the pocket without sacrificing carry. 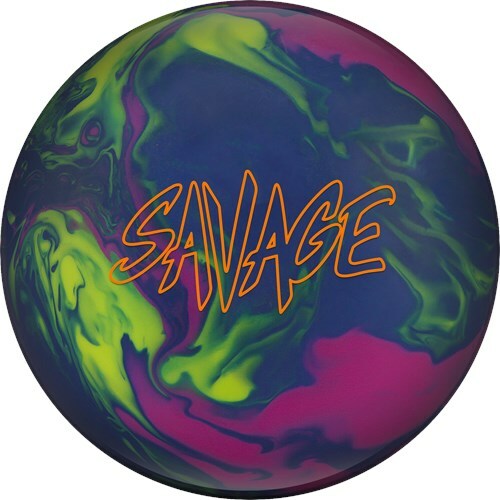 The Savage is a must have if you need a ball for heavier oil.